The magnificent synagogue is named after the Paradesi (meaning “foreigners”) who are the “White Jews”: a mixture of Jewish exiles from Spain and Portugal. 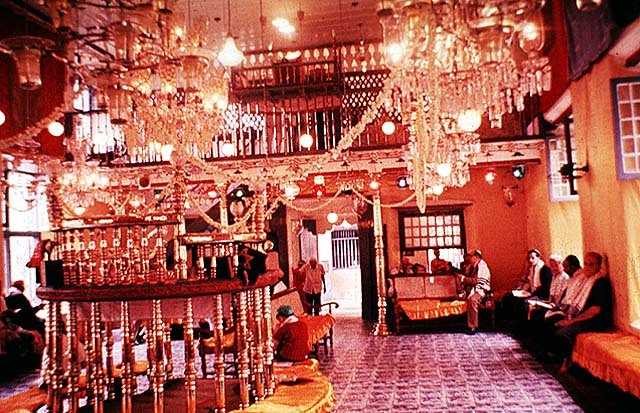 It is the oldest synagogue built in the former British Empire and the only synagogue in use today out of the seven synagogues built in the “Jew Town”. 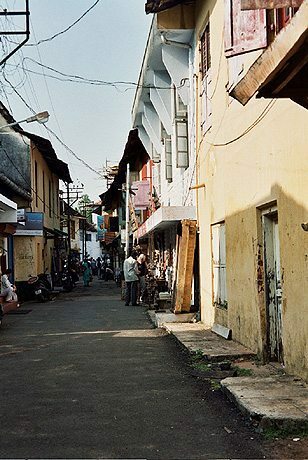 In 1568, the Rajah of Cochin, Paraja, gave a piece of land to the Jewish community next to his palace to build the synagogue. The synagogue houses 1600 year-old copper plates on which the community charter of independence and the privileges granted to the Jewish community are inscribed. It was reconstructed in 1662, after the Portuguese bombardment of that year. Outside the synagogue, there are wrought-iron gates decorated with the Magen-David. The rectangular building is white-walled and tile-roofed, with an inner courtyard lined with ancient Hebrew-inscribed gravestones. The Jewish merchant and diplomat Ezekiel Rahabi added a Dutch-style square clock tower with four clocks featuring four different numerals: Hebrew numerals facing the synagogue, Roman numerals facing the palace, Malayalam (Indian) numerals facing the harbor and Arabic numerals facing the public. At the bottom of the tower there is a well and inside the tower hangs the pendulum. Ezekiel Rahabi’s grave is located in the courtyard of the synagogue. Hundreds of old hand-painted porcelain tiles brought from China pave the floor, no two of which are identical. The synagogue keeps a rich collection of items: gold and silver decorated Torah-scrolls crowned with solid gold and set with gems given as gifts by the rajahs, an oriental carpet in front of the ark given as a gift by the Ethiopian emperor Haile Selassie, and two brass columns symbolizing the pillars of the Temple. In addition there is a collection of 10 paintings depicting the history of the Jews in the area. There are two bimot, one in the women’s gallery, a feature unique to the local Jews, and the other at the center of the prayer hall. 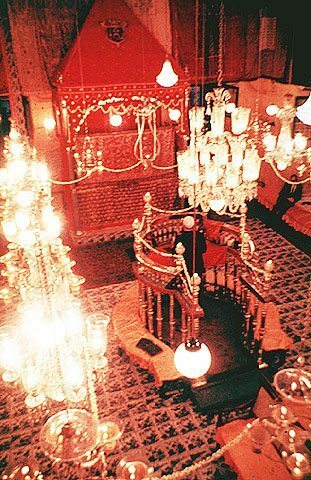 From the ceiling hang amazing brass and glass oil-burning lamps in keeping with Hindu tradition, and crystal chandeliers. In 1968 the synagogue celebrated its 400th anniversary. Prime Minister Indira Ghandi attended the festivities and the Indian government issued a commemorative postage stamp for the occasion. The Havdalah (Sabbath’s close) is symbolized by the sniffing of Hardala flowers. The synagogue is open to the public throughout the week. On days other than holidays visitors are asked to remove their shoes.